Hope Healthcare has been recognized as a Weather-Ready Nation Ambassador as part of the National Oceanic and Atmospheric Administration’s initiative designed to help serve the public by strengthening our national resilience against extreme weather events. “Hope’s association with the Weather-Ready Nation program allows us to utilize our vital connection to the community and encourage people to heed warnings and take appropriate action during severe weather,” Beckwith added. As a WRN Ambassador, Hope Healthcare is committed to working with NOAA and other ambassadors from government, non-profits, academia and private industry to help make the nation more ready, responsive and resilient against extreme environmental hazards. Talking about life’s final chapter is still one of the most difficult topics that we all face. We are one of the only cultures that believe that death is optional and avoids talking about it. At Hope Hospice, we don’t want to talk about death either. We want to talk with people about living every day as fully as possible, without suffering or worrying about being a burden on the family. We want people think about what they can do, how to leave a legacy and what story people will share about them. In a recent article published by the Journal of the American Geriatrics Society, the authors of “Study Finds Hospice Patients are Admitted Too Late” reported that while older adults experience unhealthy symptoms and disabilities for months, half of these patients are admitted to hospice only in the last two weeks of their lives. Another study showed that people who were under hospice care actually lived longer than those who were not offered hospice care. They also reported living better. 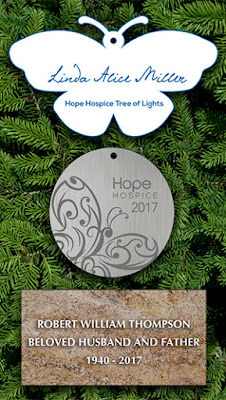 Hospice is a comprehensive program of care and services that brings the patient and family expert medical, emotional and spiritual support along with coverage for medications, supplies and other items not usually covered in the health care system. People can receive care in private residences, nursing homes, assisted living facilities, or in one of our four Hope Hospice Houses. Hope also offers grief and bereavement services to family members – including programs specifically for children. Hope’s palliative care program is also available to ensure comfort and dignity while preventing needless suffering from pain, shortness of breath, nausea, depression and other symptoms before hospice care is needed. Palliative care is available for adults, teens, children and infants with serious illnesses who can benefit from comprehensive holistic services. Eligibility for hospice benefits and palliative care often begins sooner than you would expect. Please remember to speak with your doctor about options as soon as a life-limiting diagnosis is made or call us directly. Hope’s comforting care is a call away for people of all ages, backgrounds, traditions, religions, diseases -- at the time when it is needed most. Samira K. Beckwith is President and CEO of Hope Healthcare, a not-for-profit, 501(c)(3)-status community-based agency offering programs and services in Lee, Charlotte, Collier, Hendry and Glades counties.